Plugs can be stored for 6 weeks in the dark (6 weeks in light) at 36F and subsequently grown into very acceptable plants and/or flowers. This species is often confused and/or intermingled with V. X wittrockiana. The most fragrant species is V. odorata. Some species are used in perfume and confectionery. Some are also reported to have medicinal properties. 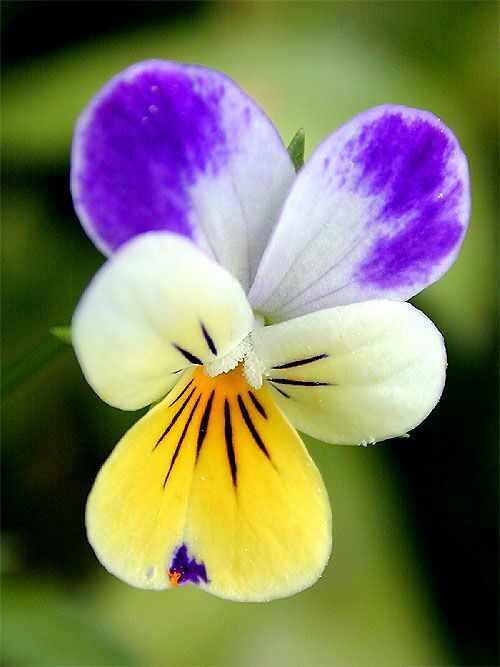 Gardeners often divide this genus into three groups: pansies, violas and violettas. Charles Darwin even got into the act by referring to a seedling of V. tricolor (‘Medora’) as one of the great first changes in this species with the conversion of the dark rays in the flower center to the now often seen dark blotch on the lower petal. When used as edible additions to menus and produce departments, consumers rate color and freedom from pesticides as the two most important reasons they would or would not purchase and/or eat them. According to Creasy (1999), fresh petals are edible. Can be used in salads, desserts, vinegar and syrups. Wohlgenant et al. (2001) showed that a 10% increase in the retail price of a pansy would cause an approximate 8% decrease in sales.